When Conversation Leads To Commerce #Infographic ~ Visualistan '+g+"
Mobile messaging is for more than just friends. 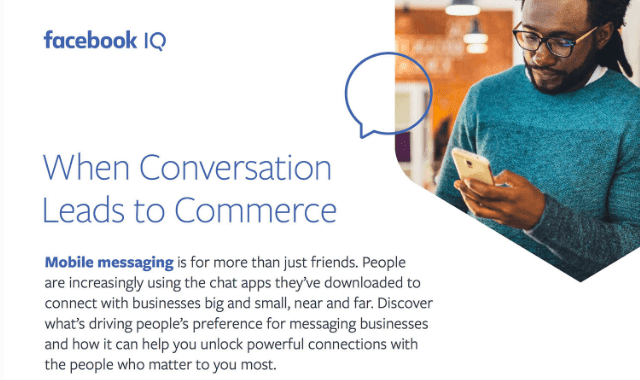 People are increasingly using chat apps they've downloaded to connect with businesses big and small, near and far. Discover what's driving people's preference for messaging businesses and how it can help you unlock powerful connections with the people who matter to you most.